a collaboration in thread, paper, ink, paint, cotton, mail, and phone calls. 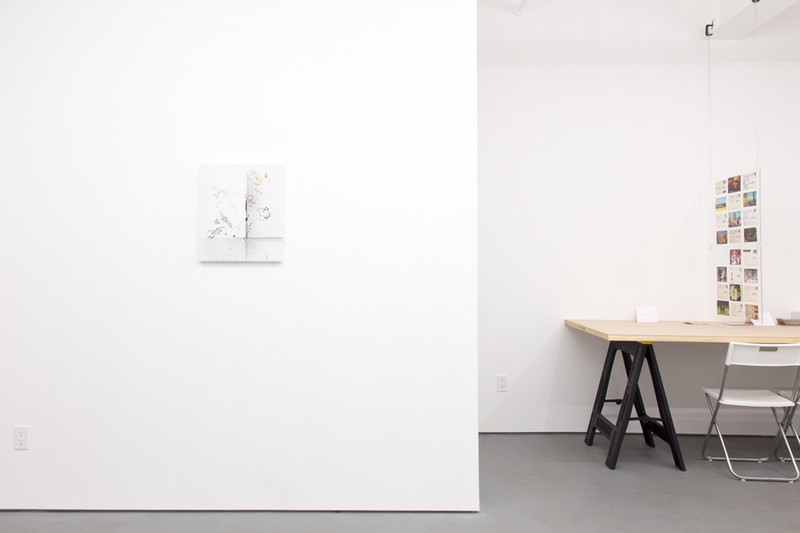 Visual artist Kim Bennett and poet Chris Hosea collaborate using outmoded technologies to bridge time, distance, medium, and personal practice. 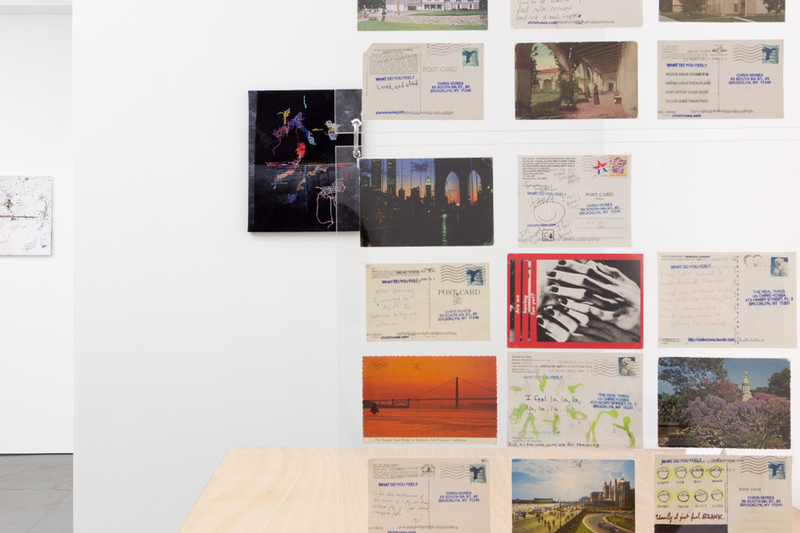 Each work is part of a larger document, telling a story over 14 hours of phone calls, 10 letters and postcards and seven Priority Mail Tubes between Brooklyn and Berkeley/ Oakland. The Scrolls for Play are pierced paper tracings made in California and sent by post to New York, inscribed with automatic writing, returned via post to California, photocopied, incised, traced, and used as maps to inspire the painting/embroideries. The artists describe these as an analog recording of their exchange as well as a score to interpret and replay. 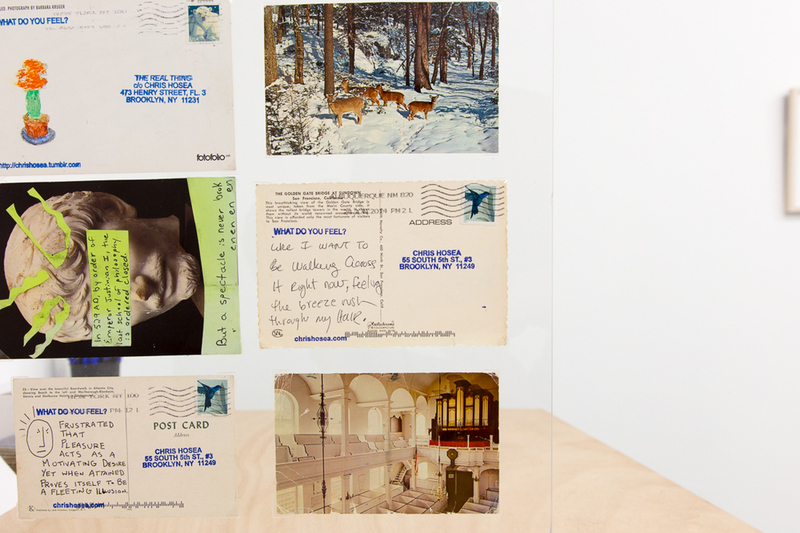 Write Someone/Make a Call combines gallery letterhead, pens, paper and a landline telephone—allowing visitors to engage the transitive communications that yielded the Scrolls for Play. 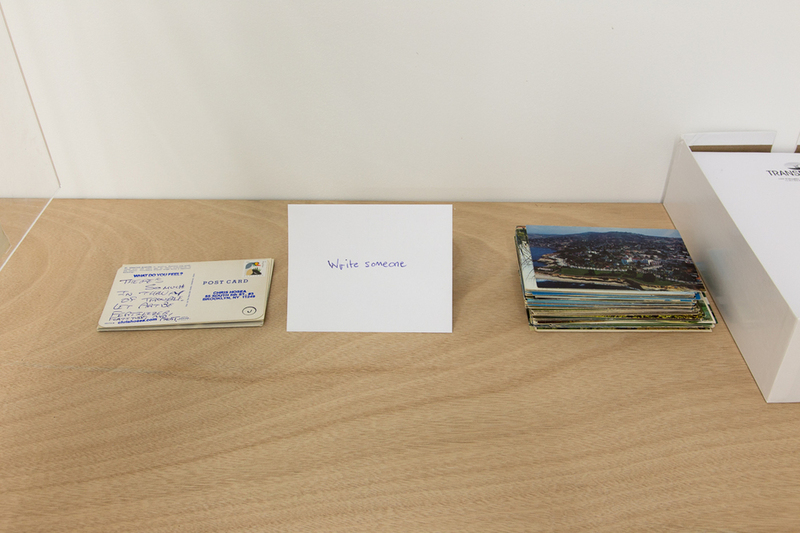 Hosea’s ongoing project What Do you Feel (2012– ) includes postcards for visitors to respond anonymously to the artist, or to keep as takeaways. A small sample installation of the project will be displayed. Additionally, Hosea has planned a performance series to enliven the show, which is free & open to the public. Kim Bennett is an artist working in painting and embroidery. She studied at Cooper Union (BFA 1998) and California College of the Arts (MFA 2013). Her solo and two person exhibitions include Pied-â-terre, San Francisco (2012), Stephen Wirtz Gallery, San Francisco (2013), and Conduit Gallery, Dallas (2013). She was a recipient of the Toby Devan Lewis Fellowship (2013) and a Creative Time commission for The Art of Pure Pleasure, Art Chicago and Armory Show (2003). She is co-founder of the publication Article Journal. Bennett is based in the Bay Area. Poet, artist, and curator Chris Hosea is the author of Put Your Hands In: Poems (LSU Press 2014), selected by John Ashbery as winner of the Walt Whitman Award from the Academy of American Poets. Educated at Harvard College (A.B. 1998) and the University of Massachusetts Amherst (M.F.A. 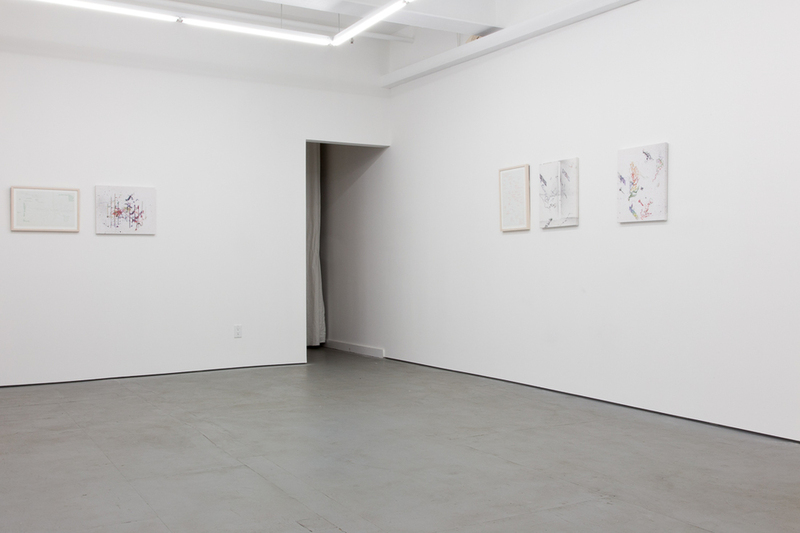 2006), Hosea’s work as curator includes Ode to Street Hassle (Bronx Art Space 2012; featured: Zoe Leonard, Myles Paige, Kimi Hodges, Amy Touchette, Kim Bennett). His performance and artwork has been featured at Ugly Duckling Storefront Gallery, Ran Tea House, and Double Happiness. Hosea is based in Brooklyn. OVER TIME ACROSS SPACE catalogue is available! Produced in San Francisco by Colpa Press, letterpress cover by Carissa Potter, 12 pages, 18 x 12 inches. Risograph prints within a letterpress folio. Each catalogue is a unique object. Edition of 60. $40, and will be available at the gallery.